Great side dish loaded with antioxidants and fiber. 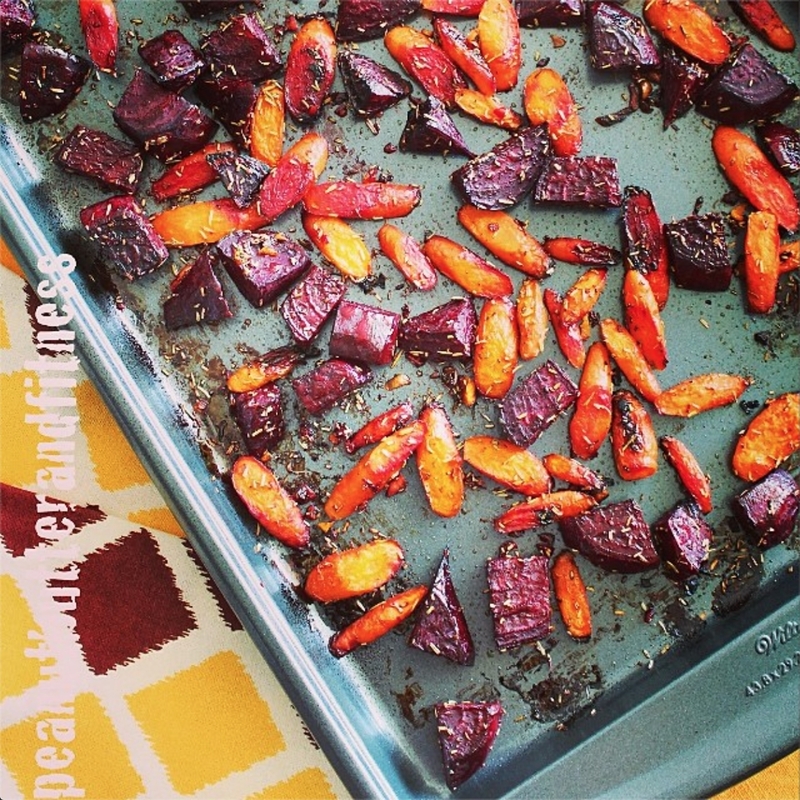 Roasting the beets and carrots gives them an almost caramelized texture - delicious! 2. Peel and cube beets into approx. 1" cubes. Slice carrots diagonally, ensuring no slices are too small (they will burn). 3. In a large bowl, toss beets and carrots with all other ingredients, coating evenly. 4. 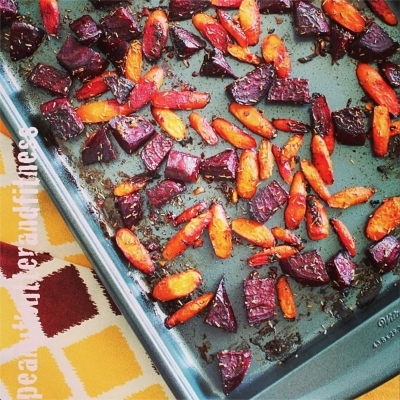 Spread beets and carrots in a single layer on a large rimmed baking sheet. 5. Bake for 20-25 minutes or until tender.